Valentine's Day is right around the corner. Now is the time to start thinking about those projects that say "I love you". 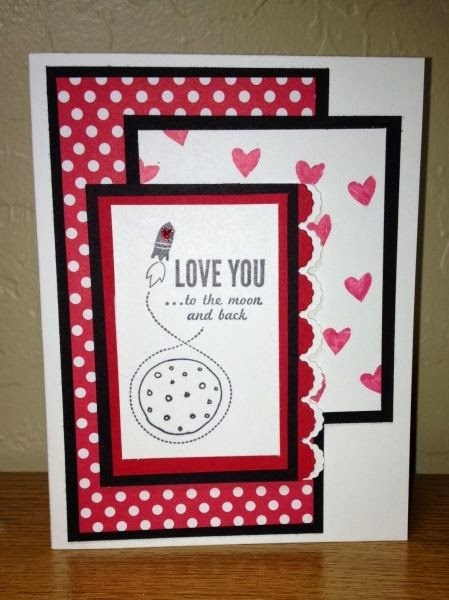 Whether it's a card for your special someone, or treats for your child's class, Love You to the Moon will help you make the day extra special for those you love. Check out this adorable sample I found on Pinterest...I can't wait to CASE it! Want more fantastic ideas for your Valentine's Day creations? Host a party and you and your guests will learn how to create three projects and even get to take one home! Send me an email or call me at 289-280-0304 to learn more. You can place an order for any products found here or elsewhere on the blog, by emailing, calling or shopping my online store.